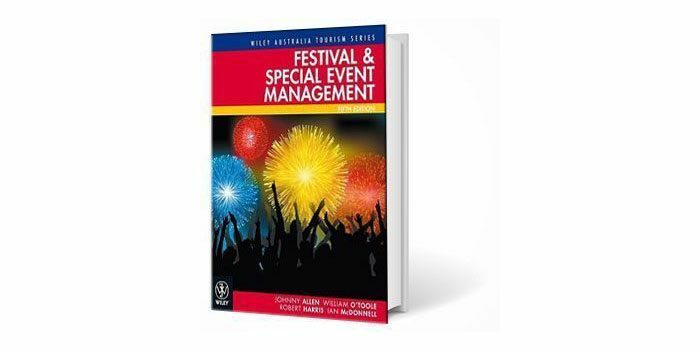 A new edition of Festival and Special Event Management (pictured), the first Australian text in the event management field, has been commissioned by John Wiley. This will be the 6th edition of this popular text which serves as the basis for Event Training Australia’s (www.eventtrainingaustralia.com.au) series of short courses and workshops in event management. In addition to the current authors, John Allen, myself and William O’Toole, Professor Leo Jago (Surrey University) will be joining the writing team. The new edition will be published early in 2019. Festival and Special Event Management continues the comprehensive overview of the theory and procedures associated with festivals and special events established in previous editions. The new edition of this market-leading text introduces developments and professional tools, and considers the globalisation and subsequent internationalisation of event management. The role of marketing and communication, environmental planning, the increasing role of governments through the creation of event strategies, and the different perspectives of event management are all discussed. This edition aims to embrace and extend the growing body of knowledge relating to event management by tracking many of the recent changes and developments in the field. This offers students a current, relevant textbook for their study and professional reference. By Johnny Allen, William O’Toole, Robert Harris, Ian McDonnell. Interested in further developing your event’s ‘green’ credentials?